If you have multiple computing and mobile devices, it can be a hassle to find, sync and transfer your media from one to another. You can sync your iPhone with your laptop but it’s messy with all the wires involved. Libox is a new free, peer-to-peer application that scans all the media on your primary computer (photos, videos, music) and then streams it to other devices with a Libox app or browser. 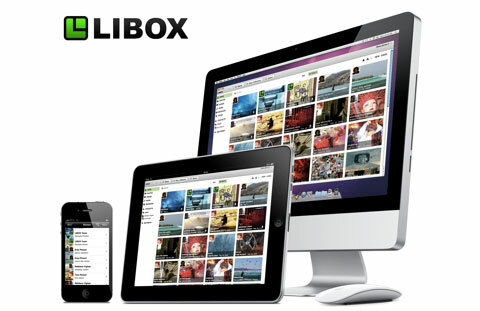 The Libox iPhone app has just gone live on iTunes and is available on your desktop, on the Web, and on the iPhone. You can see all your photos, play all your videos and even listen to your entire music collection. It is all streamed from your laptop, which acts as a server. You’ll need to download the desktop app which will scan your entire system for all your photos, videos and music and make it available on your iPhone. If you have a huge number of files, it may take a while and a few tries. It works exactly the same on the mobile Web in both iPhone and Android browsers. Whenever you add more media to your computer, it is automatically available everywhere else without any cables. Libox transcodes the files into formats that can be streamed to whatever device you are on. The catch is that your host computer must be on (the Libox app works in the background). Eventually, Libox will supplement this by making the media you access the most often available via the cloud as well. You should remember that all media you create on your iPhone will be required to sync manually to your computer to stream it again on your iPhone via Libox. With the Android app, which is in the works, it will just sync wirelessly via WiFi. Libox is not a mass sharing app but one designed for sharing between friends who also use it. You can share your videos, music and photos with other user friends and that too without any messy wires and syncing cables. Head over to iTunes, try the app and let us know the results.